Grade: N35-N52, N35m-N50m, N30h-N50h, etc. Shapes: Customized Like Disc, Arc, Block, Ring, etc. Coating: Customized, Zn, Gold, Silver, Copper, Epoxy, etc. 2. Shape:Â Disc, Cylinder, Block, Ring, Countersunk, Segment, Trapezoid, Irregular shapes and more. Customized shapes forÂ Â Neodymium MagnetsÂ are available. 3. Coating:Â Ni-Cu-Ni, Nickel, Zn, Gold, Silver, Copper, Epoxy, Chemical, PTFE, Parylene, Everlube,Â Passivation and more. 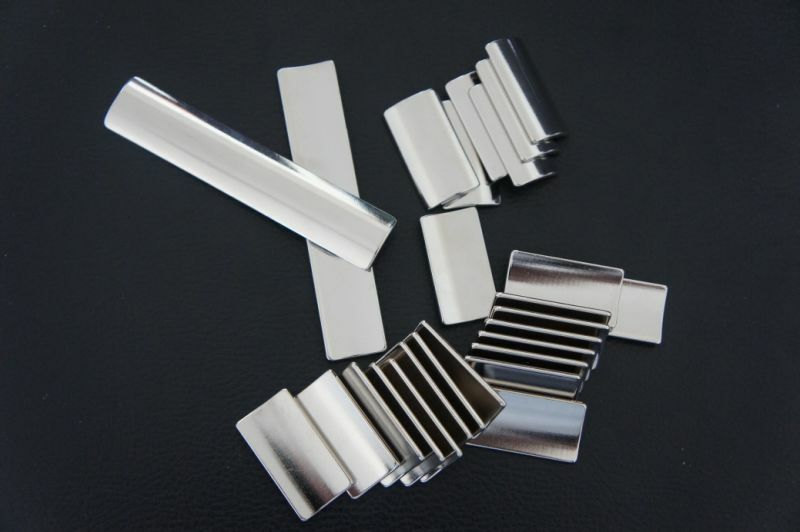 Â Â Neodymium MagnetsÂ are widely used in many fields, such asÂ motors,Â sensors, microphones,Â wind turbines,Â wind generators,Â VCMs in hard disk drives,Â printer,switchboard,Â loudspeakers,Â magnetic separation,Â magnetic hooks,Â magnetic holder,magnetic chuck, common daily use, and so on. Â Â Both normal package and customized package are available. Â Â High output and plenty storage can ensure short delivery date. 8. Partners:Â Hailong has build good relationships with Mitsubishi, Philips, Foxconn and other famous companies yet. Â Â Â Â Â 1.Â TheÂ above-mentionedÂ dataÂ ofÂ magneticÂ parametersÂ andÂ physicalÂ propertiesÂ areÂ givenÂ atÂ roomÂ temperature. Â Â Â Â Â 2.Â TheÂ maximumÂ workingÂ temperatureÂ ofÂ theÂ magnetÂ isÂ changeableÂ dueÂ toÂ theÂ length-diameterÂ ratioÂ andÂ environmentÂ factors. Â Â Â Â Â *Â TheÂ length-diameterÂ ratioÂ ofÂ theÂ aboveÂ tableÂ isÂ 1:Â 1,Â theÂ testÂ dataÂ isÂ basedÂ onÂ NickelÂ plating. 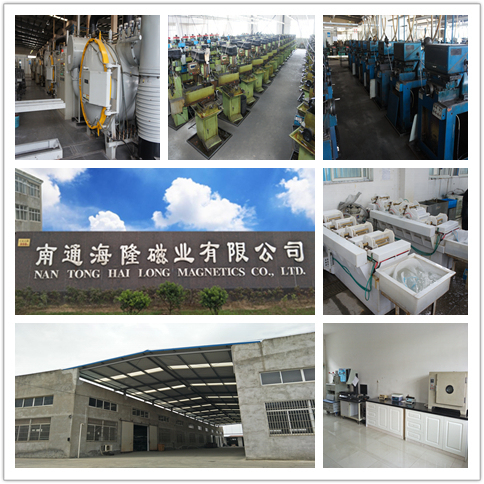 Â Â Â Established in 2003, located in Qidong City, Jiangsu Province, Nantong Hailong Magnetic Material Co. Ltd. has been specialized in NdFeB magnet Industry for more than 15 years, which is just 1.5 hours far from Shanghai. 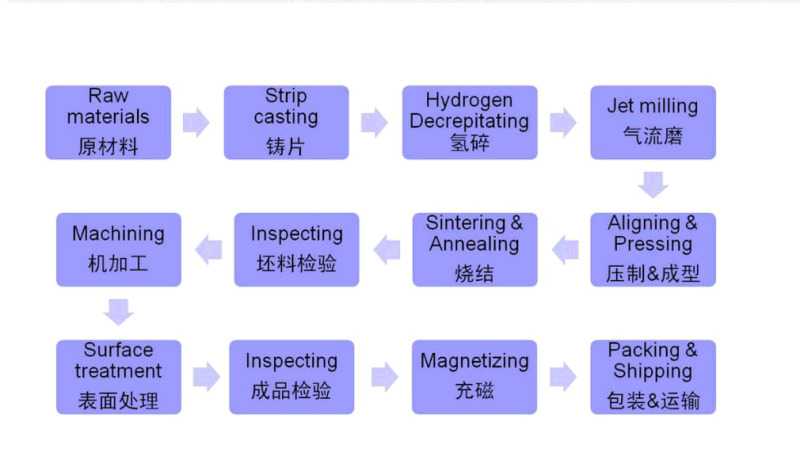 Â Â Â As a professional Magnetic Material Manufacturer, Hailong builds a strict quality control system in accordance with ISO 9001: 2008, produces sintered NdFeB products with high quality and competitive price, which has good markets in both inland and overseas. Â Â With the principle "CreditÂ Principal,Â Customer Uppermost",Â Hailong has been striving for innovation and breakthrough since its establishment, has build good relationships with Mitsubishi, Philips, Foxconn and other famous companies. Â Â Â More professional, More Accurate, More Powerful! Â Â Creating magic NdFeB, Your reliable partner for Customized Magnetic Materials! [A]: We can produce Neodymium Magnets with any shapes as you required, the high precision has perfect performance especially in various motors and generators. 2. To get a quotation, what requirement should I offer? [A]: Just show us your detail requirements such as the Size, Shape, Grade, Plating and so on. 3. Could I get a sample before my order? 4. How about your quality and price? [A]: We have competitive magnets, which have High quality & reasonable price. 5. Do you have any certifications? 6. Could you offer a short lead time? [A]: Yes, for normal types, our daily output can be more than 200,000 pcs. Straightened line razor wire works well as top linings for fences of various types. It is easy to be installed in many ways. Straight line barbed tape wire is installed quickly. It can save cost and at the same time achieve the effect of frightening and stopping.